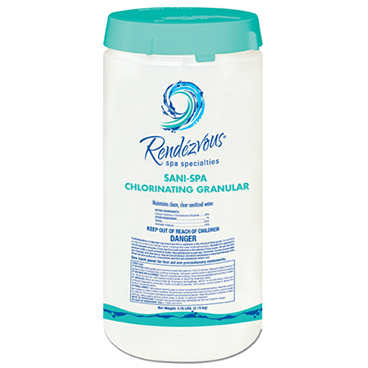 A concentrated and stabilized granular chlorine specifically developed for disinfecting spa water. Available Sizes: 1.75 lbs. / 4.5 lbs.